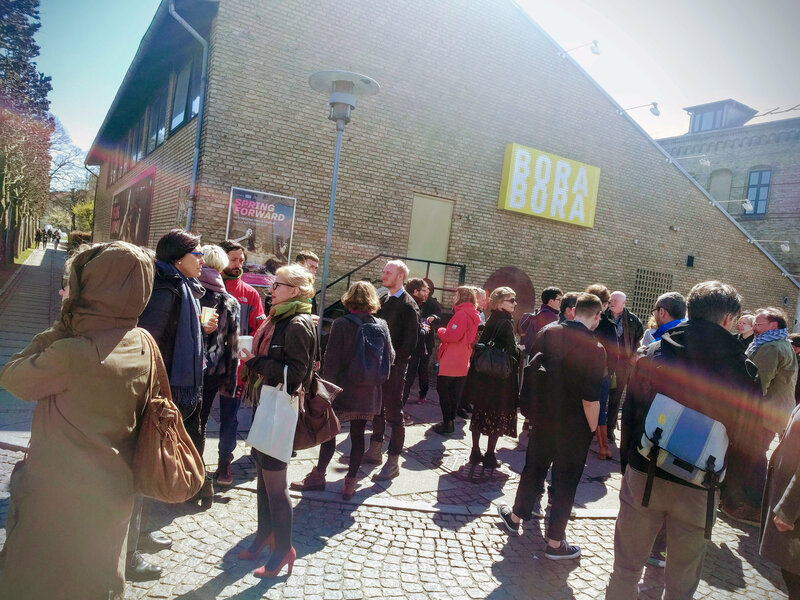 Bora Bora is an Island of Dance in the middle of the smallest and cutest metropole you can find in Denmark: the city of Aarhus. It’s a dance venue with two theatre rooms: one for an audience of 200 and one for 75. Dance performances are therefore quite intimate experiences for the audience at Bora Bora. We also have a festival of dance for babies every two years and we are on our way to creating a small international festival in 2020. Bora Bora building. Photo by Lars Kjær Dideriksen. Bora Bora Residency Centre has 10 paid residencies per year and this focus on development and co-creation is making Bora Bora a very lively place to work. My role at Bora Bora is Artistic Director, but I feel more like part of a team consisting of varied competencies that fulfill a rather broad field of performing arts disciplines. Most of the staff here are dramaturges with different specialties. The constant flow of new methods and styles through our different resident artists and co-producers is a stimulating assurance that we will not stagnate, but will continue to add new competencies and specialties. In Denmark, the classical tradition of Bournonville ballet is danced almost exclusively at the Royal Ballet in Copenhagen. Contemporary dance has a lot less financial support and there are only a few small venues at which it is presented. Bora Bora is one of two dance venues that presents contemporary dance on a regular basis. Sync, by Anastasia Valsamaki. Photo by Christoffer Brekne. The aesthetic of contemporary dance is – from my perspective – all dance that is not ballet. It does not put skill and grace foremost. It is more of an entity where concept, urgency of mindset, and overall artistic skill and will is crucial. Contemporary dance is, for me, the performing artform that most quickly disseminates descriptions of human life here and now from different parts of the world. It is very potent as a means of discussion between audience and artists about our ‘biological state of mind’. So, personal clarity – not political viewpoints – is the most important element for me. Dance should embrace modernity and experimentation. The surprise I get from a good performance, how it disturbs me, is the entertainment I enjoy. My programming is half national and half international in scope and there is no special preference for certain countries or nationalities. 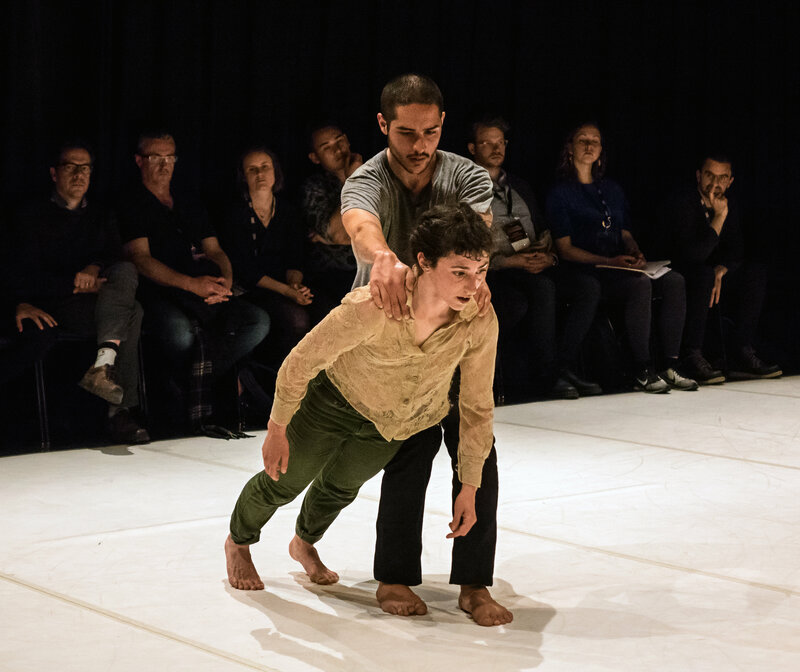 However, capacity is limited: being one of only two curated dance venues in the country brings a lot of limitations as to how much dance from the whole world you can show in relationship to how much Danish dance you must show. We also have a lot of partners, such as Aerowaves and the European Dancehouse Network, which creates certain obligations of presentations each year.